The Tantalus Did Not Tantalize! Certainly not during the years of the English Regency. And yet, in the past couple of years, I have read perhaps a dozen novels set during the Regency in which characters select a decanter containing their alcoholic beverage of choice from a tantalus. And never once did any of these characters use a key to liberate their preferred libation from this devious device. So, what is a tantalus, and when did it make its debut on the stage of English domestic furnishings? The mechanical tantalus is named for Tantalus, one of the many sons of Zeus. Tantalus was a bad boy, for when he was invited to dine with Zeus on Mount Olympus, he smuggled out some ambrosia, which he took home and served at a banquet of his own. The gods were not pleased and in punishment for this egregious offense, Tantalus was eventually made to stand in a pool of water beneath a tree heavy with fruit. If he attempted to reach for the fruit, the branches lifted high above him. If he attempted to drink the water, it receded away from him before he could partake. Thus, though surrounded by plenty, he was left both hungry and thirsty. The punishment of Tantalus is the origin of the word "tantalize." The ingenious device known as the tantalus was not introduced in England until the last half of the nineteenth century. The basic concept of the design is a framework into which can be locked one or more decanters of liquor. In most cases, the decanters are square, usually of cut or engraved glass. Typically, the frame is open, so that the elegant decanters can be seen and admired. But, they cannot be removed from the frame of the tantalus, nor can their stoppers be withdrawn, unless the frame is unlocked by the keeper of its key. There is a story that the tantalus was designed to prevent one’s butler from sampling the best household liquor. But this apocryphal anecdote does not hold up, as most self-respecting butlers in the great aristocratic houses would never have considered pilfering from the master’s liquor supply. If such pilferage had been a problem, why was a solution not found until well into the reign of Queen Victoria? And why create a device that would only protect a few decanters, while the bulk of the household liquor supply was kept in the cellars, to which the butler held the key? The more likely scenario is that the tantalus was just one of many novelty devices which were popular with the expanding and increasingly affluent middle class of the last half of the nineteenth century. Having grown up with few, if any, household servants themselves, they could believe they were imitating their betters by "protecting" their few decanters of expensive liquors in a tantalus. The first record of a tantalus, also called "The Butler’s Enemy," is at the Great Exhibition of 1851. This apparatus was shown as a means for securing liquor decanters, but there were also versions for perfumes, patent medicines, and even tea. Most of these early devices were made of fairly inexpensive electroplated silver. It was more than a decade until similar mechanisms began to be made of wood, typically mahogany. According to the narrative of the genealogy of the Betjemann family, one Mr. John Betjemann is believed to be the man who patented a design for a wooden tantalus in 1881. This Huguenot family had been cabinet-makers for generations. By the mid-nineteenth century, they began to specialize in the making of dressing cases and game boxes. It was perfectly natural that they should turn their skills to the making of these small, specialized wooden cases for holding and securing liquor decanters. The next time you read a Regency novel, and one of the characters seeks alcoholic refreshment from a tantalus, you will know your author has not done their research. However, if a similar scene is included in a late Victorian or Edwardian novel, you can be sure that such an object existed and was in use during those years. But, if any of the characters in those novels with later settings do not use a key to open their tantalus, you will again know that your author has not made the effort to apprise themselves of the correct operation of this device. 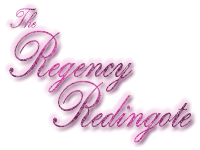 This entry was posted in Furnishings and tagged Interior Decor, Regency. Bookmark the permalink. 9 Responses to The Tantalus Did Not Tantalize! Reblogged this on Ella Quinn ~ Author. I appreciate your interest in this article, but even more do I appreciate your consideration in not copying the article wholesale to your own blog. Thank you for your professional courtesy! I had no idea and had never heard of a ‘tantalus.’ although I knew the story of Tantalus. Great info. I have to admit, I had not heard of the spirituous-beverage-keeping device myself, until it appeared in a handful of Regency novels I had read. Do you know which drinks are traditionally supposed to be in a Tantalus? For one with three decanters I assume whisky, port and something else? Gin perhaps? Or are there no traditional staples? By the time the tantalus became regularly available, in the mid-nineteenth century, there were a number of alcoholic beverages to be had. People could put whatever they liked into the decanters in their tantalus. There were no hard and fast rules. When the tantalus first became popular, many people still considered gin a drink of the lower classes. But there would have been nothing to stop anyone from keeping a decanter of gin in their tantalus, if they liked it. Whiskey was considered more sophisticated, so I suspect that many people may have kept whiskey in one of their decanters, even if they did not regularly drink it, so it was available to offer to guests. Port is technically a wine, as is sherry, but either one might have been kept in a tantalus. Brandy was another option, for those who liked it, or wanted it available for guests. Reading an early 20 th century novel where a middle class woman whose husband has made lots of money is browbeaten by her newly acquired butler who tells her that the ‘tantalus is very middle class’. Well, that author certainly did her research, as that remark is spot on!